Satellite data confirms ‘calving’ of trillion-tonne, 5,800 sq km iceberg from the Larsen C ice shelf, dramatically altering the landscape. Story here. 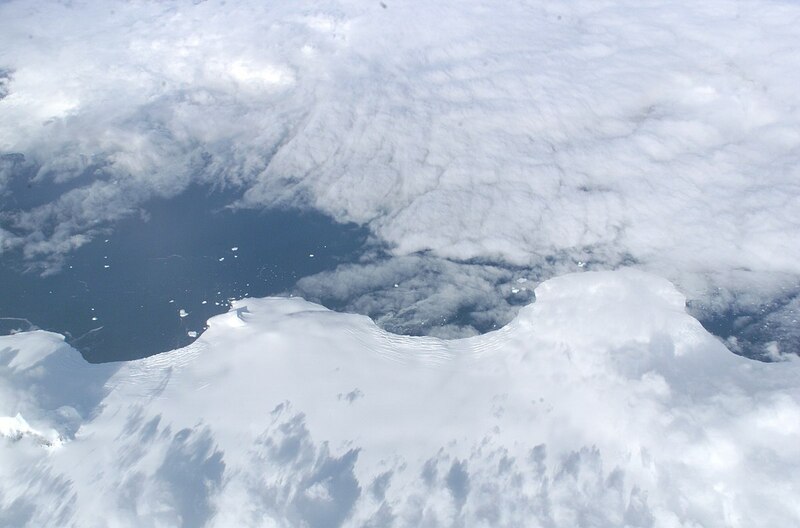 The Larsen ice shelf as it was in 2004. NASA photo.